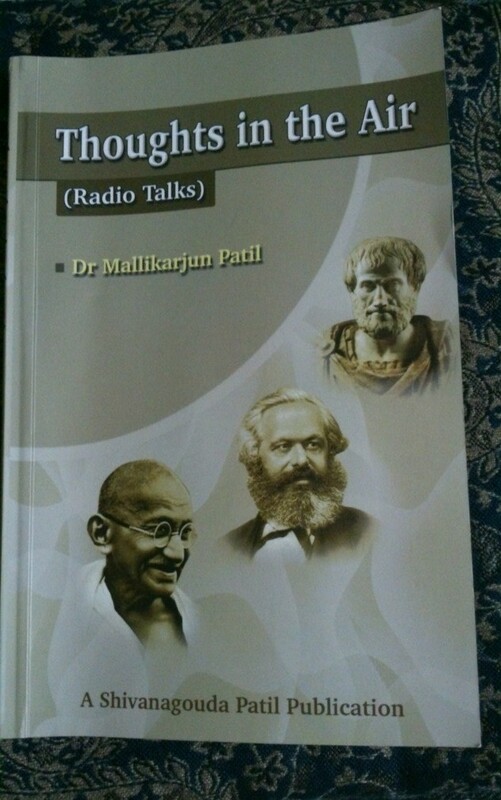 Thoughts in the Air is a collection of Radio talks by Dr. Mallikarjun Patil. The author is an Associate Professor and HOD at the Department of English, Karnatak University, Dharwad. He has given talks at the AIR Gulbarga, Dharwad and Hyderabad right from his graduate days. Apart from giving talks he has also organized radio discussions, translated AIR plays for competitions. This collection aims at inspiring and enriching young minds. Together they cover a broad range of topics including some important topics that haven’t been getting their share of attention like the topics on travel literature, the one on Basava, the social reformer, on the women writers like Toru Dutt and the controversial writings of Salman Rushdie. The Generalia talks about what is literature and kinds of literature. The Indian and Western literature talks about different authors, genres, literature from different periods of time and from different schools of thinking. It is aimed at casual readers and experts alike. As pointed by the author, the talks have been a product of constant discussions with colleagues and students and hence the content is largely familiar to students of literature. But anybody with interest in language and literature stands to gain by reading the book. The readers stand to gain not only from the knowledge but also from the insightful analysis. And as we all know reading literature and history isn’t only about stories, facts or accounts but it is peeking into the a culture and society. In that sense here we get to peek into Indian and Western cultures from the Mythological ages to the modern World. Thanks to Dr.Patil for the insightful ride through time and space.